While many health insurance organizations acknowledge the fact that consumers experience confusion when navigating the processes of selecting, paying and navigating health care, few have taken proactive action to change this reality. Premera Blue Cross, however, is setting an all new standard. They have actually made it their new corporate mission to become more customer-focused, strategically working to improve the customer experience by better distributing information, answering questions and increasing transparency about how different plans and benefits work. “We wanted to begin drawing closer to the customer and their experience, working to address larger problems patients have in navigating the health care process,” said Tom Messick, Vice President and General Manager for Premera’s Spokane operations. Premera’s new new customer-focused direction was marked with the appointment of Curtis Kopf as Vice President of Customer Experience in June of 2015. Kopf helped the company develop a program called Premera Listens, which as you can imagine, is all about listening to consumers—facilitating two-way dialogue that responds to the needs and wants of the consumer via a set of focused surveys. The Premera Listens program is comprised of three key surveys: a customer survey, a primary-care physician office visit survey and a provider portal website survey. 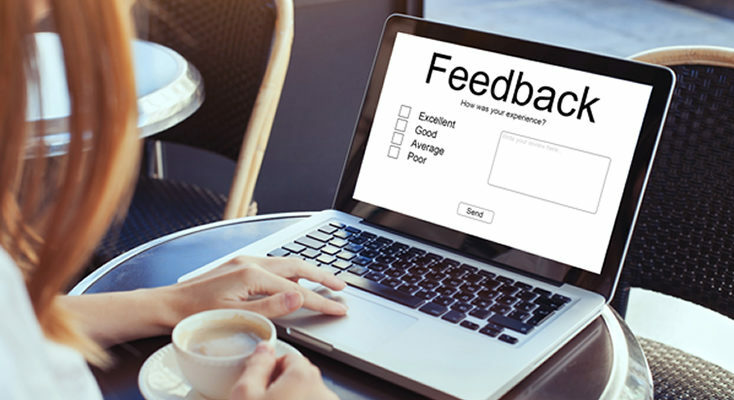 The customer survey is for customers who have just completed a call with a customer service representative, giving the consumer a chance to provide feedback on their experience. When the response is negative, the survey stops itself and one of Premera’s representatives contacts the individual to see how they can help. “So far, it’s been really positively received by customers, they appreciate knowing someone wants to help them and is willing to respond within the hour,” said Kopf. According to Kopf, 2,500 customers have taken the survey so far, with more than 1,300 of those leaving comments. The surveys have enabled Premera to collect in-depth data on the kinds of services and experiences their customers want and are willing to pay for, in turn validating new customer experience investments while inspiring a more customer-focused mentality among Premera employees through access to such revealing, real-time insights. The primary-care physician office visit survey enables customers to give feedback on how a doctor’s visit went, another critical point of the consumer health care experience, while the provider portal website survey allows the provider to give feedback on their experience with the patient to support provider-payer collaboration and information exchange. In addition to the survey-based program, Premera also launched another initiative, called Let’s Be Clear. This program is focused on reducing healthcare jargon and simplifying the language of scripts, websites and product materials that are traditionally filled with health care terms and acronyms meaningless to the average person. The Premera Listens and Let’s Be Clear programs are further supplemented by the hiring of new tech talent to support the development of customer-friendly website and mobile applications that can enable Premera to more easily connect with and respond to their customers. While simplifying health care language and building more customer-friendly websites and mobile apps are all steps in the right direction, what is most profound to me is Premera’s decision to give customers a voice and enable two-way dialogue. In doing so, Premera has not only created a new employee culture focused on creative customer experience solutions, but has boldly adapted one of the most important skills necessary to any defining customer experience—the ability to listen and respond. Hopefully other insurers will take note and recognize that the most powerful customer experiences are those driven by the customers themselves.